G-Eazy is less than 48 hours away from releasing his third studio album, _The Beautiful & Damned, with the record slated to drop this Friday (Dec. 15). To help further the anticipation, the Bay Area rapper has released a new track, giving his album's lead single "No Limit" the remix treatment. 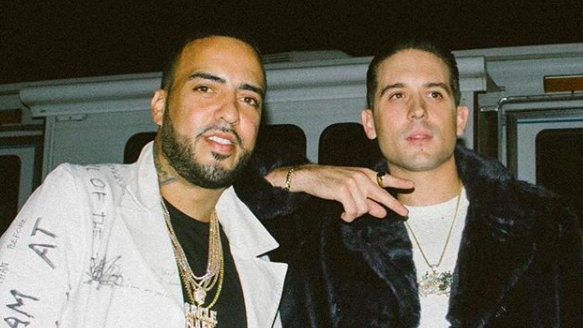 The original version of the track, which went on to mark G-Eazy's second top 10 single on the Billboard Hot 100 and recently went platinum, features Cardi B and A$AP Rocky, with French Montana, Juicy J and Belly each stepping up for the remix. For the track, G-Eazy keeps A$AP Rocky's original contributions, but changes his own verses and makes room for the three collaborators to do their thing. Not only that, but the song also samples Juicy J's "Slob On My Knob," making the Memphis rapper's guest appearance that much more authentic and fitting. Well done, sir, well done. In addition to sharing the new remix, G-Eazy also has confirmed his next tour, which is set to kick off on Feb. 15 in Houston and conclude on March 20 in New York. The 20-date tour will also feature support from Trippie Redd, Phoro and Anthony Russo. Listen to G-Eazy's remix for "No Limit" below and see his tour information in full here. REVOLT Live | French Montana Visits "REVOLT Live"